How Long Before NASA’s Telescopes Become Obsolete? The Hubble Space Telescope (HST) begins its separation from Discovery following its release. The photo was taken during Servicing Mission 2 in 1997. NASA’s telescopes are invaluable tools that provide scientists with important information about space, influencing future developments from the world’s premiere space program. The nature of science seeks constant evaluation and improvement in the research processes, prompting the question: How long before NASA’s telescopes become obsolete? Each of NASA’s telescopes will remain in use as long as they are operational and can teach us something. Millions and billions have been invested in these telescopes, so a quick changing of the guard is very unlikely, as a new telescope is likely to be assimilated into any research process gradually and in collaboration with the pre-existing telescope. Now, even the amateur astronomer knows that telescopes require proper care over the years. This requires proper cleaning of the lenses, including air compressors and optical cleaning tissues, as well as proper storage. But what do you do when you keep your telescopes in orbit? As the only telescope in space that’s serviced by astronauts, the Hubble Space Telescope is arguably the most impressive and well-known operating telescope known to man. Its ability to take very high-resolution images has resulted in some of the most striking photos of space ever. However, this wasn’t always true. In 1993, NASA had to fix its vision during the Endeavor mission. Illustration of the Webb Space Telescope in orbit with Earth around the Sun. Although the Hubble telescope works fine right now, decommissioning will likely take place in the next two to three decades, as the telescope’s primary structures and supporting systems are all outdated already and will begin to deteriorate eventually. A different telescope is already set to take over Hubble’s role: the James Webb Space Telescope, which is currently under construction and set to launch in October 2018. NASA says it is more sophisticated than all current ground- and space-based telescopes. The project has been underway since 1996 but looks like it will finally see the light of day. Launched in 2003, the Spitzer Space Telescope takes images in infrared, whereas the Hubble takes images in visible light for the most part. This telescope is a good example of how many telescopes are handled by NASA after their prime. 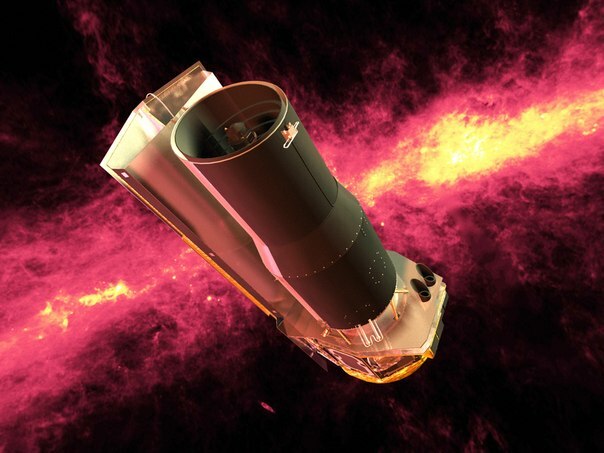 For the Spitzer, whose instruments become unusable after the onboard liquid helium supply exhausted in 2009, NASA made us of what was left: the telescope’s ability to take pictures via the infrared array camera onboard. A new mission from NASA called the “Warm Mission” was created with the resources left available, demonstrative of NASA’s tendency to salvage whatever’s possible and make use of it for scientific research when possible. Often with billion-dollar instruments like this, they will have a use even after their fuels and materials have technically expired. The power of the James Webb Space Telescope, which is replacing the Hubble, can be anticipated for near-future developments. One thing is for certain, it takes precise calculations and engineering to make sure it’s ready for years in space. NASA’s handling of the Spitzer telescope shows that, even when a telescope technically expires, there is still some use to be had. Looking ahead, NASA is always aiming to be on the cutting edge, investing in telescope technology that can study dark matter and other deep-space phenomena. None of NASA’s telescopes will have the eternal status as top dog, but many of them will continue to provide usefulness long after their prime, as exemplified by the Hubble and the Spitzer. Megan Ray Nichols loves discussing the latest scientific discoveries with others on her blog Schooled By Science. When she isn’t writing, Megan is discovering the beauty in the world around her with her new telescope. You can follow Megan on Twitter @nicholsrmegan.